Museum is a place where people can explore objects of great artistic, historical and scientific values. Museums makes better understanding among people about importance of cultural diversity and to appreciate it. Museums are also one of important resources for education and provide many informative programs. American museum of natural history is the largest natural history museum in the world. 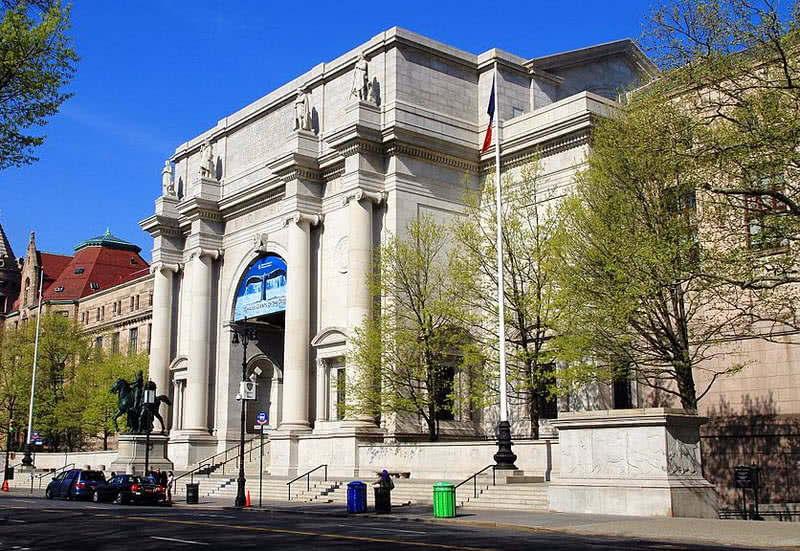 The museum was established in 1869 in Manhattan of New York City. The museum contains more than 32 million specimens from different branches including zoology, geology, astronomy, biology, ecology and anthropology. In fact the huge collection of American natural history museum displays the million of evolution of planet Earth. Every year the museum attracts more than 5 million visitors. Open daily from 10 am to 5.45 pm. Photography is allowed, demand the permission from authorities for sale and reproduction of photographs. The famous dinosaur exhibit in the fourth floor of museum houses largest collection of giant dinosaur fossils of all ages. The milstein hall of ocean life features magnificent dioramas of number of ocean life including sharks, giant squids and dolphins. A 94 foot blue whale model is the main highlight of ocean life section of the museum. The rose center for Earth and space features a spherical space theater that bring a virtual reality experience among the viewers by displaying the Universe around them. The Bernard and Anne Spitzer hall of human origins exhibit the evolution of human life on Earth. The hall contains life size dioramas of predecessors of human including homo ergaster, Australopithecus afarencis and Neanderthal. 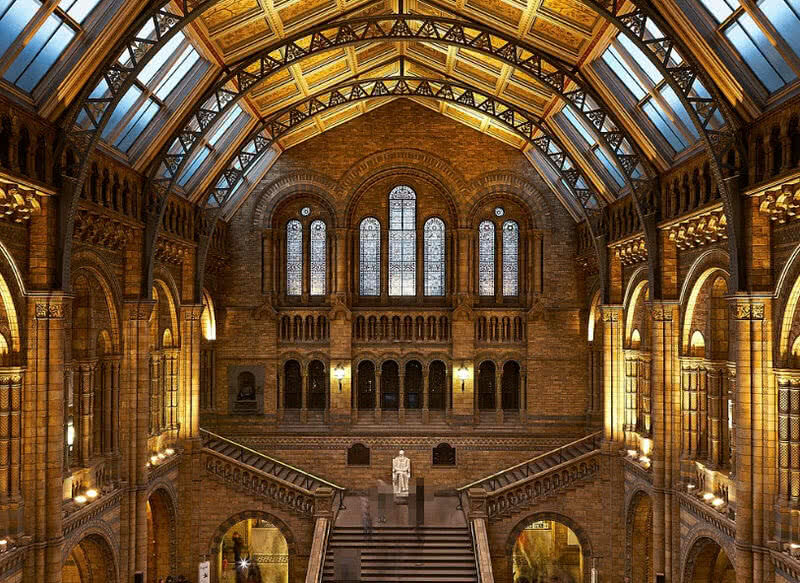 It is one of most popular natural history museums in United Kingdom, located in South Kingston in London. The building itself known for it’s cathedral like design. The museum houses more than 80 million Earth and life specimens. There are four main zones in London’s natural history museum known as red zone, orange zone, green zone and blue zone. The green zone of the museum covers evolution of Earth and life on it, the red zone concentrate for notable changes within in planet in different period of time, blue zone focus for the vast diversity of life on Earth and orange zone displays the specimens collected by Charles Darwin and wildlife garden. Opening hours : 10 am to 5.50 pm. Entry charge : free entry. Photography is allows but use of tripod is not permitted within the museum. The Darwin Center of the museum contains many of specimens collected by him. The huge collection of preserved organisms within this center offers many vital informations for the branch of Zoology. The volcanoes and earthquakes gallery features earthquake simulator, film footages and plate tectonics room. The dinosaur gallery displays fossils of different types of dinosaurs and also contain moving animatronic dinosaurs. The permanent vault gallery within the museum have collection of rare diamonds, gems, crystals, metals and meteorites. Vatican museums displays huge collection of sculptures, paintings and many other art works collected by popes of Roman catholic church through different centuries. There are 54 galleries in total and the whole routes along Vatican museums stretches over seven miles in length. The museums are globally popular for the collection of important Renaissance arts spanned from 14th to 17th century. 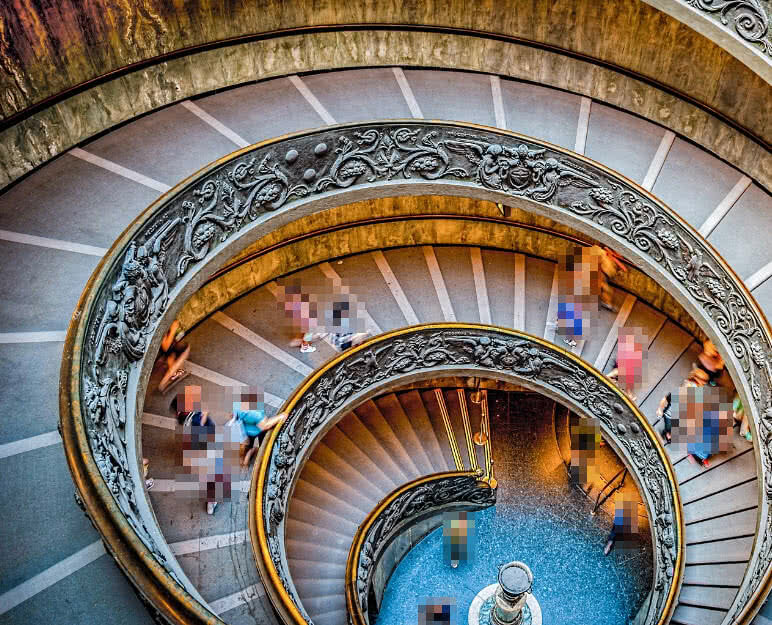 Vatican museums are also the fifth most visited museums in the world with 5.5 million annual visitors. Opening hours : Monday to Saturday from 9 am to 4 pm. Photocamera are permitted in Vatican museums but strictly prohibited in Sistine chapel, official residence of pope. The iconic Sistine chapel one is one of unmissable sections in Vatican museums. The chapel is much famed for highly decorated interior and the ceiling that shows the figure of God touching the fingertip of Adam. The gallery of map section features incredible map of 16th century Italy on walls. The sculpture gallery within the museum contains many of ancient Greek and Roman sculptures. It is an art museum in London that have collection of over 2300 Western European paintings dating from 13th century to 19th century. The collection included inspiring arts from globally popular artists like Leonardo da Vinci, Michelangelo, Picasso, Titian and Holbein. 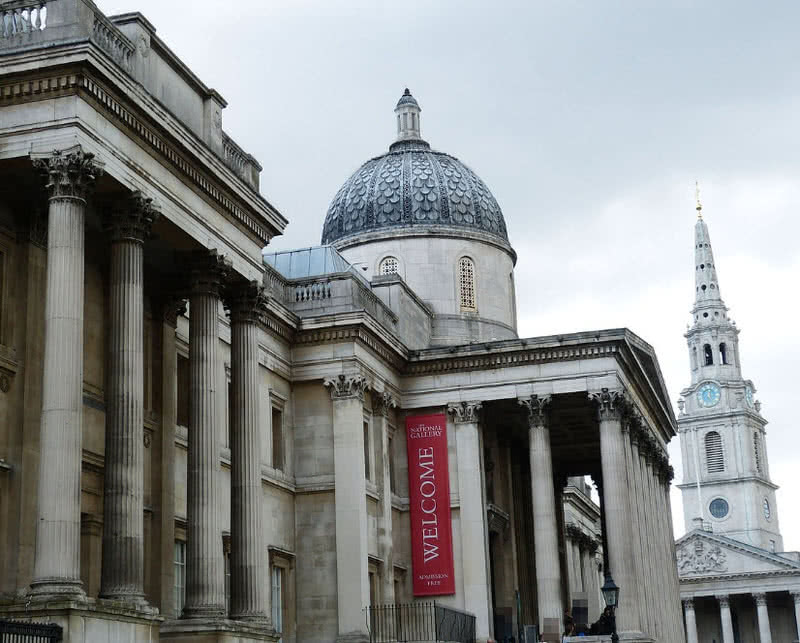 National gallery also offers various guides and audio guides for the visitors to explore the arts at it’s best. Opening hours : Daily 10 am to 6 pm. Photography is not allowed in national gallery of London. But authorities will arrange special photography sessions on closing time based on requests. National gallery features a new painting every month from skilled artists. A dedicated section within the museum contains 30 key paintings from popular artists including Leonardo da Vinci, Michelangelo and Raphael. 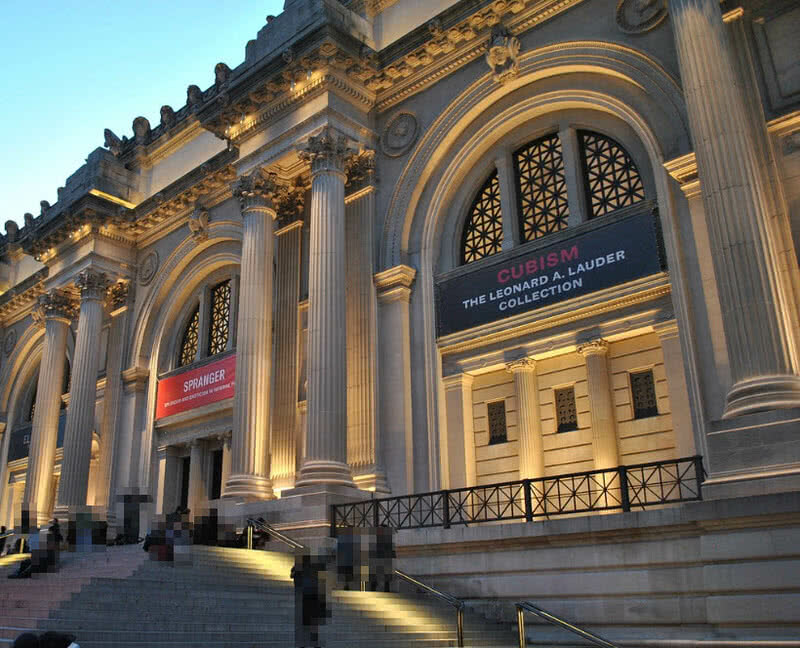 Metropolitan museum of art in New York city is the largest art museum in United States. The museum houses more than 2 million works which include thousands of European paintings, art works from ancient Egypt and America. The museum also contain musical instruments, weapons, accessories and cloths from various parts of the world. Opening hours : Open seven days a week from 10 am to 5.30 pm. Entry charge : Adults : $25, children (Under 12) : free, Students : $12, seniors (65 and older) : $17. The museum features a huge collection of (around 17000 objects) from ancient Greek and Roman empire. These historical objects represents wide varieties of styles from various cultures. The Medieval collection within museum included thousands of religious and various two and three dimensional arts. More than 25000 art works from ancient Egypt. Thousands of old master drawings and paintings, produced during Middle ages in Western Europe and North America. British museum in London is one of the oldest and greatest museums in the world. The museum is dedicated for human history and culture. It houses more than eight million world from all around the world. The collection within the museum encompasses artifacts from many civilizations. The museum was established in 1751 and today it attracts more than 6 million visitors annually. Opening hours : Open Sunday to Saturday from 10 am to 5.30 pm. Photography is allowed inside the British museum. It houses largest collection of paintings, sculptures and other form of arts produced by ancient Egyptians. There is also outstanding illustration of cultures of Nile valley dating from 10000 B.C to 12th century A.D. The department of Greece and Rome feature most comprehensive collection of objects from Greco-Roman world (from 3200 B.C to 4th century A.D). The department of prints and drawings features on of the largest collections in existence, over 50000 drawings and two million prints. The list included masterpieces of Leonardo da Vinci, Raphael and Michelangelo. Collections of prehistoric and Neolithic objects from various parts of the world. The prehistory section also contain different time measuring tools used by humans in Europe spanning from period A.D 300 to A.D 1000. Smithsonian’s National air and space museum in Washington hold the largest collection of aviation and historic spacecraft in the world. In fact the collection within the museum enclose every aspect of human flight. The museum contains 60000 objects in total ranges from microchips to rockets. It is also the most visited museum in United States with 8 million annual visitors. Opening hours : Open everyday except December 25, from 10 am to 5.30 pm. Photography allows inside the museum for personal use. There are 22 exhibition galleries in total that covers branches of planetary science, aviation and space flight. Large collection of historic aircraft and spacecrafts. Public observatory department bring closer view of craters of Moon and phases of Venus through telescopes. Collection of 1.75 million photographs and 14000 films of iconic moments in space exploration. Educational programs for students featuring aviation and space. The national museum of China is located in Tienanmen square, in Beijing in China. The museum is dedicated for art and history of China. The museum houses more than 1 million objects dating from 1.7 million years ago to last period of Qin dynasty (ruling from 1644 to 1912). Many of artifacts within the museum can’t see anywhere else in the world. It is also the one of largest and most visited modern museums in the world. Opening hours : Open all days in a week except Mondays, from 9 am to 5 pm . Photography is allowed for permanent exhibitions in National Museum of China. Displays different arts of bronze, Chinese calligraphy, porcelain and paintings. Collection of stone tools and jade ritual objects of Ancient China. Classical paintings and money of Ancient China. It is the most visited natural history museum in the world, located in Washington, in United States. The museum holds more than 120 million natural specimens. It is also a research center and home to largest group of professional scientists dedicated to nature study. Open all days, from 10 am to 5.30 pm. The hall of geology, gems and minerals displays 350000 minerals, 15000 individual gems and 300000 rock samples. The dinosaur hall contains fossils and models of different types of dinosaurs. The ocean hall displays more than 80 million marine specimens, largest collection of marine specimens in the world. Hall of human origin exhibit how human originated in the world through hundreds of human fossils and artifacts. Louvre museum in Paris is the most visited museum in the world, attracts more than 9.7 million visitors every year. Louvre museum is also known as ‘banana of death’. It hold more than 35000 objects spans from 6th century B.C to 21st century. The collection within Louvre museum include crown jewels, sculptures, old paintings and Egyptian antiquities. It was opened in the year 1763. Later the collection was increased by emperor Napoleon Bonaparte. The collection within Louvre museum further increased by emperors who ruled France in 18th century. Opening hours : Open all days except Tuesday, from 9 am to 6 pm. Entry charge : Admission free for visitors under 18, for others it demands € 12. Photography is allowed in Louvre museum. Display more than 7500 popular paintings from popular artists including Leonardo da Vinci, Michelangelo and Raphael. The painting collection at Louvre museum also include Mona Lisa, The most famous painting in the world by Italian artist Leonardo da Vinci. It hasn been on display at Louvre museum since 1797. The collection of 50000 artifacts from Nile civilizations gives clear information about ancient Egypt. The Greek-Roman department at Louvre contains different royal arts and other pieces dated between Neolithic period and 6th century. 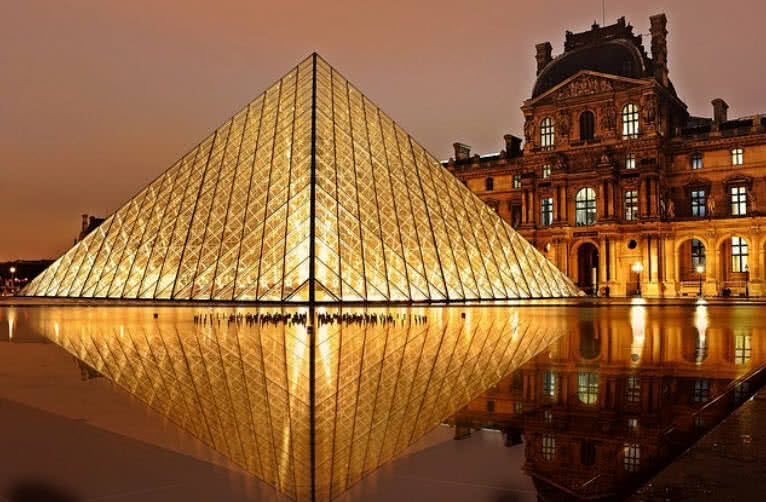 The 21 meter tall Louvre pyramid which is made of metal and glass serves as entrance to Louvre museum.